Gifts From Mothers Wishing Her Daughters Happiness And Good Health, That Handed Down From Edo Period. 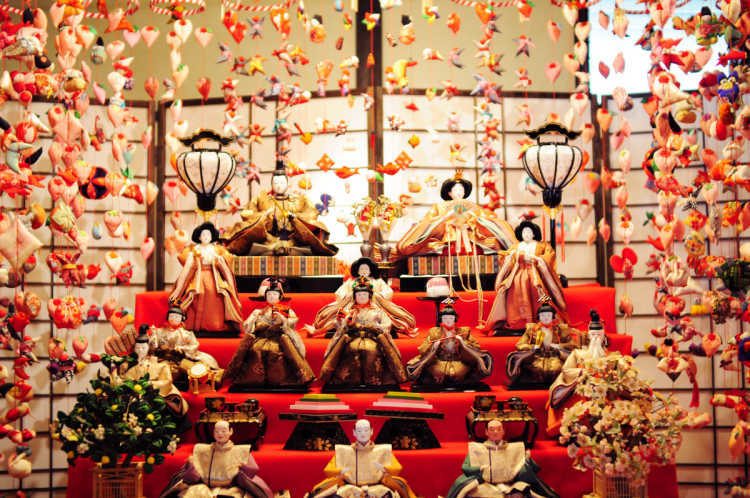 Tsurushi Bina, hung small dolls, have been handed down since Edo Period. Mothers have entrusted their daughters happiness and good health to a piece of thread and old clothes at Hina-matsuri (girl's festival) that began in Izuinatori. About eleven thousand of Hina (dolls) are hung for two months from the end of January every year.